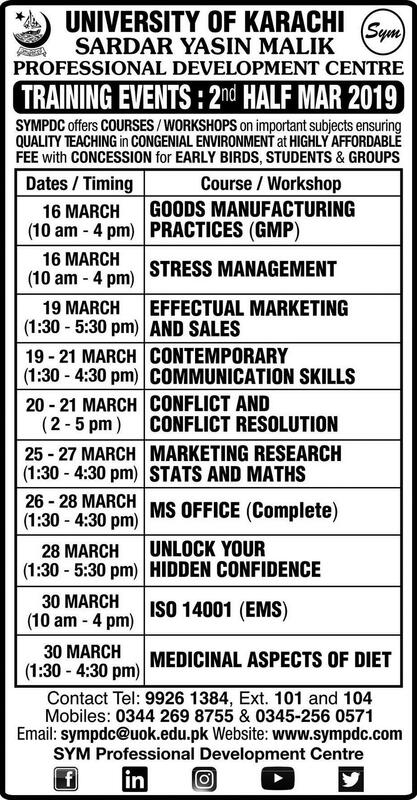 Karachi University Training Events Schedule March 2019. 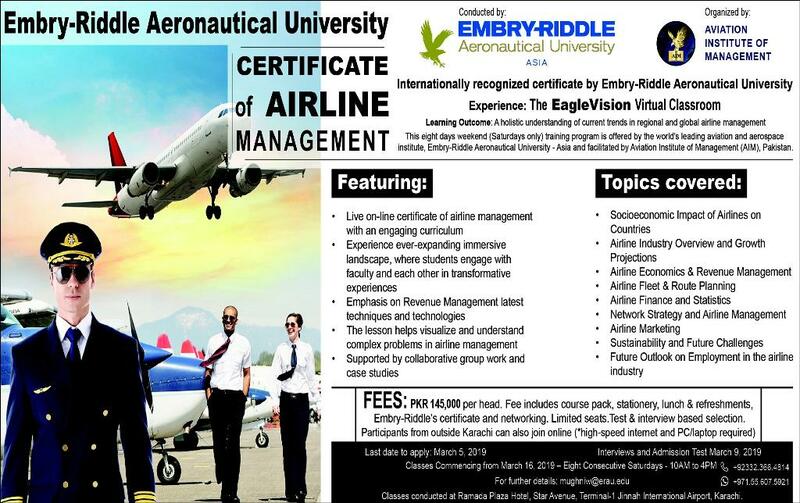 Certificate of Airline Management By Embry Riddle Aeronautical University. 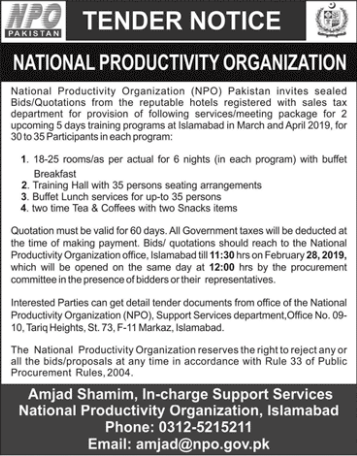 National Productivity Organization Tender Notice February 2019.